Linda has been painting for more than 20 years and holds a BFA from the University of Central Oklahoma. She teaches painting and mixed media techniques to students of all skill levels. Her creative energy alternates between several bodies of work, including: traditional oils, abstract acrylics, and mixed media. The use of vibrant color is a common thread connecting her various artistic expression. 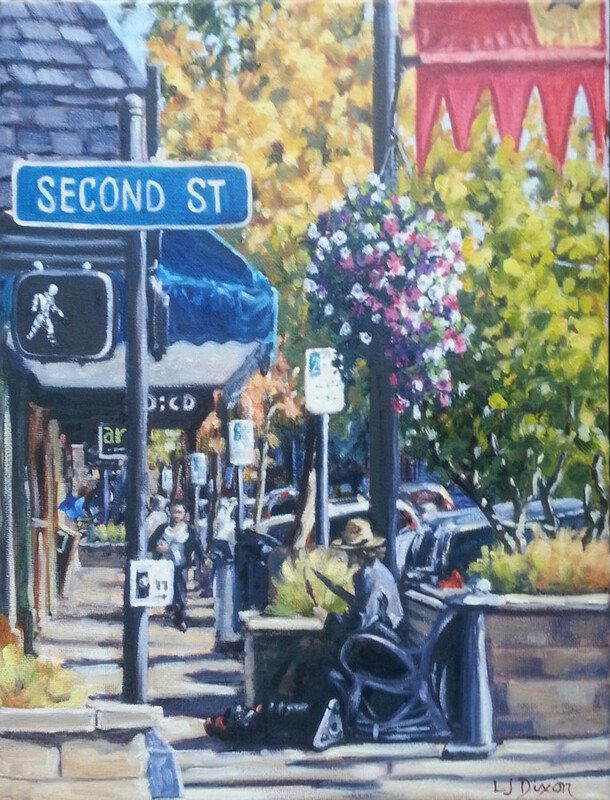 She is represented by the Ashland Art Center Gallery and maintains studio 7 on the upper level. More information about her work and classes is available at ljdixon.com. 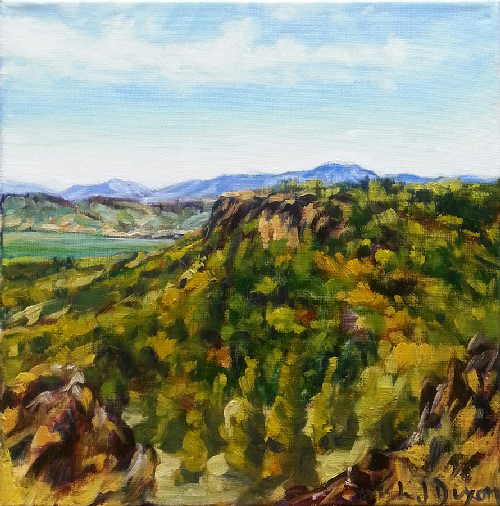 I moved to the rogue Valley almost three ago and have explored my new environment through painting. This body of oil paintings reflects my enchantment with the natural beauty all around me. Capturing the essence of a subject is more interesting than recording every detail. I strive to convey the energy and luminosity animating each subject. Rich color and the juxtaposition of transparent versus opaque color are prominent features in my work. Palette knives are often employed to keep the colors fresh and impart texture.